Prayer vigils were held in churches across the country Thursday evening to honor the nine people killed in a mass shooting at a historic church in Charleston, South Carolina. Hundreds of people gathered to remember the victims at the Emanuel African Methodist Episcopal Church, where members are still coming to grips with the Wednesday night shooting attack. 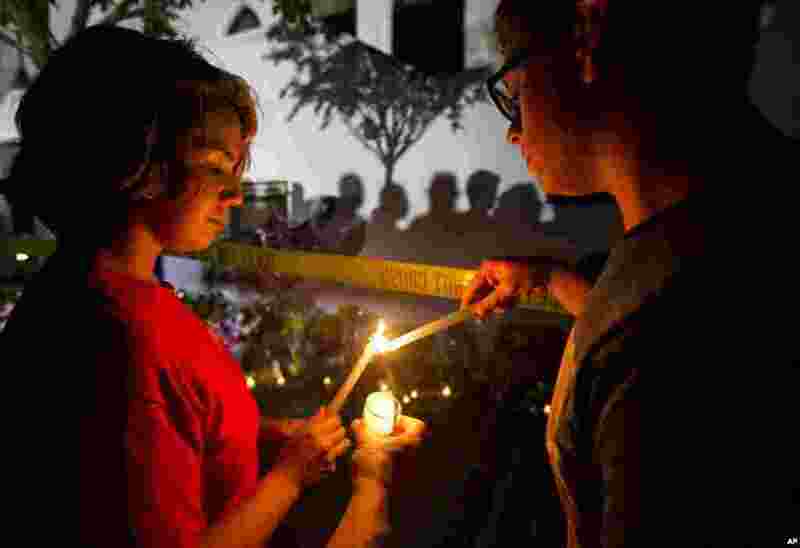 1 Olina Ortega, left, and Austin Gibbs light candles at a sidewalk memorial in front of Emanuel AME Church where people were killed by a white gunman Wednesday during a prayer meeting inside the historic black church in Charleston, S.C., June 18, 2015. 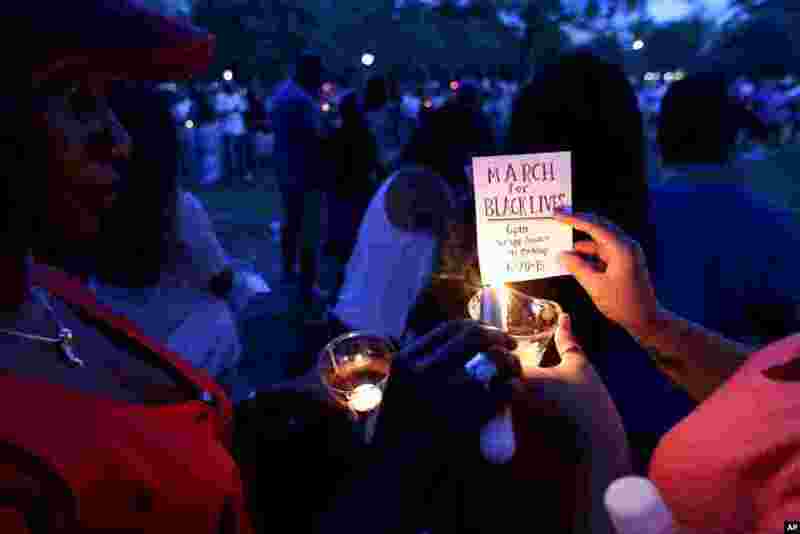 2 Mourners gather at Marion Square for a candlelight vigil, Thursday, June 18, 2015, near the Emanuel AME Church in Charleston, S.C.
3 Rev. 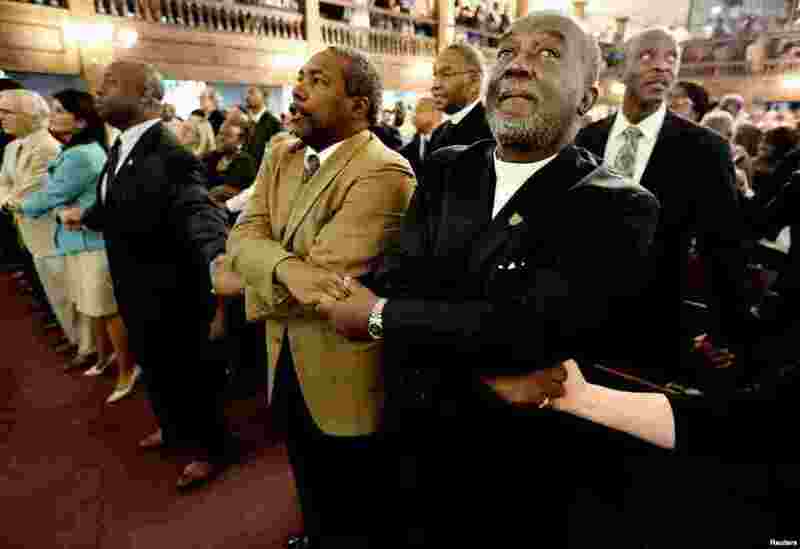 Sandy Drayton, reacts during a prayer vigil held at Morris Brown AME Church in Charleston, South Carolina, June 18, 2015. 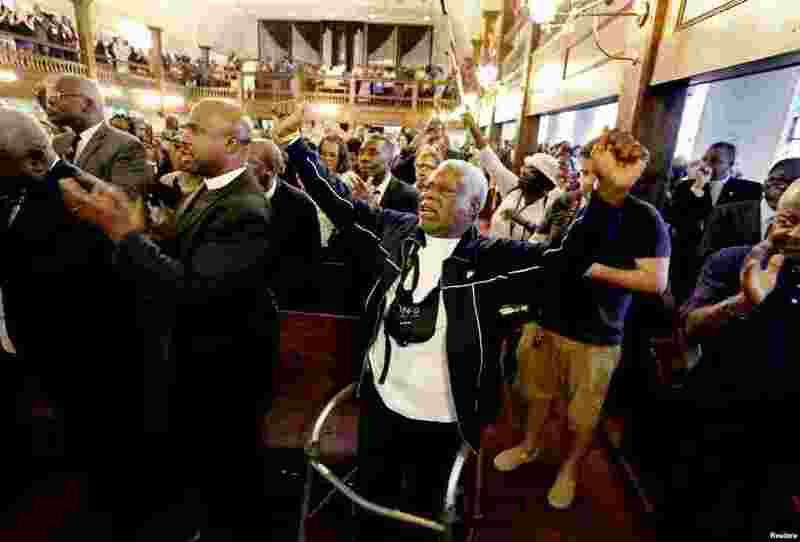 4 Reverend Richard Harkness holds hands with Reverend Jack Lewin (2ndR)as the whole church sings "We Shall Overcome" at the close of a prayer vigil held at Morris Brown AME Church in Charleston, South Carolina, June 18, 2015.